Most athletes think that, because they’ve completed their race, they no longer need physical therapy. The “off-season” is the best time to correct the biomechanical root cause of an injury. Posted in Blog, Injury Prevention, News, Rehabilitation, Running. Picture this: you’ve had your goal race circled on the calendar for months (ahem, New York City and other fall marathoners). You begin training… then the aches & pains settle in (as they do in the midst of marathon training). You become a regular at physical therapy, which helps you get you to the start line. Race day comes, you cross the finish line (yay! )… and then what? Most athletes think that, because they’ve completed their race, they no longer need physical therapy. The goal was to cross the finish line, right? Why continue PT if I’m not immediately training for anything else? Whether or not you have another race on the horizon, all athletes would benefit from continuing physical therapy sessions post-race as part of an active recovery. The goal of PT is ALWAYS to determine the root cause of the injury and return the athlete to 100%, but that’s oftentimes difficult due to the high demands of training. Call it rehab or prehab at this point – but the “off-season” is the best time to correct the biomechanical root cause of an injury when the demands of training are no longer part of the equation. What is the most effective approach to recovery? The first week post-race should be all about rest. As in, do nothing. Some will say that you can introduce light running or easy cross-training after 3 to 7 days of inactivity – but studies show that athletes who completely take off at least a week from cardiovascular activity recover faster. Both muscular strength and work capacity are impaired if one jumps right back into exercise the first week, whereas it returns more quickly with total rest. Opt for an active recovery, including daily stretching, self-myofascial work, hydrating, eating quality foods and getting extra sleep. It’s the question everyone always asks first. Everyone’s response is different, but in general, it takes 4-8 weeks to fully recover from a marathon. Many experts agree that one of the best ways to get back into running is through a reverse taper. Exercise physiologist Pete Pfitzinger recommends running 50% of your usual weekly mileage the second week and 75% the third week, all at an easy to moderate intensity. Pfitzinger also suggests a simple mini-speed test to complete at the end of the third week to see if you’re ready to resume speedwork. Start by running a half-mile at your 10K race pace. If you’re able to run easily without any residual soreness, you can resume your normal training routine. If you experience any stiffness, take another week at 75% mileage with no speedwork, then repeat the test. The first four weeks of the recovery phase are also an optimal time to continue physical therapy. Your body is no longer experiencing the microscopic damage to muscle fibers and the surrounding connective tissue that is caused by the repetitive movements and daily stresses of heavy training. During periods of heavy training, treatment oftentimes has to be introduced gradually, and results can take longer to achieve than the time a PT has before the race. Once you’re free of these daily rigors, those issues become obsolete. A PT is no longer hindered by training and can treat with less resistance and fewer setbacks. The focus shifts to rebuilding a solid foundation and helping you return as a stronger athlete. Even if you have no plans to compete in another race, who doesn’t want to enjoy your normal daily activities without pain? Take care of yourself now so your body will be strong for next season. 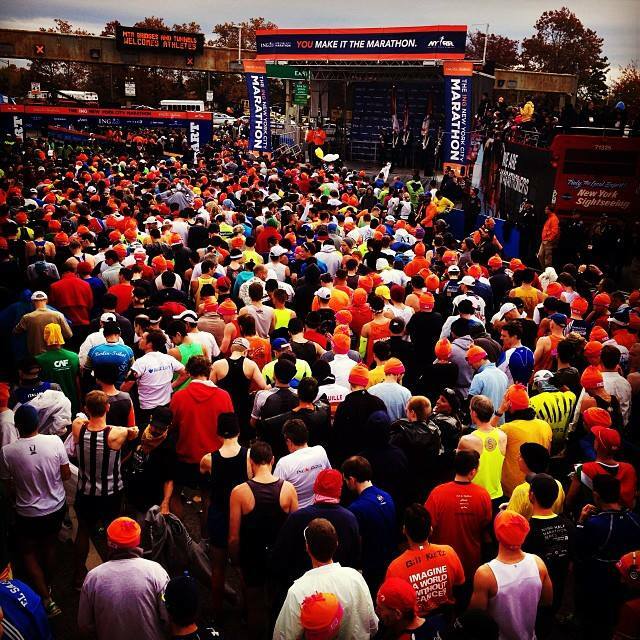 A version of this blog post was first published on the New York Flyers’ “News on the Run” blog as “Post-Marathon Recovery Tips”.